March 23, 2016 LAS VEGAS, NV—According to the Westgate Las Vegas Resort and Casino ticketing office, Dirk Arthur’s Wild Magicshow - the last Las Vegas act featuring exotic animals - has been canceled. Animal Defenders International (ADI) calls the news a welcome victory for the white tigers, snow leopard, panther, and other exotic cats used as props in the controversial show. A local entertainment site,VegasBright,announced the show had “abruptly closed” and refunds are being offered to ticket holders. ADI previously released videoofthe extreme confinement and environmental deprivation suffered by exotic cats in Dirk Arthur’s Wild Magic show when it opened at the Westgate last year. The exotic cats appear only minutes onstage, but for this endure around six hours a day in tiny travel cages and prop boxes barely larger than their bodies. 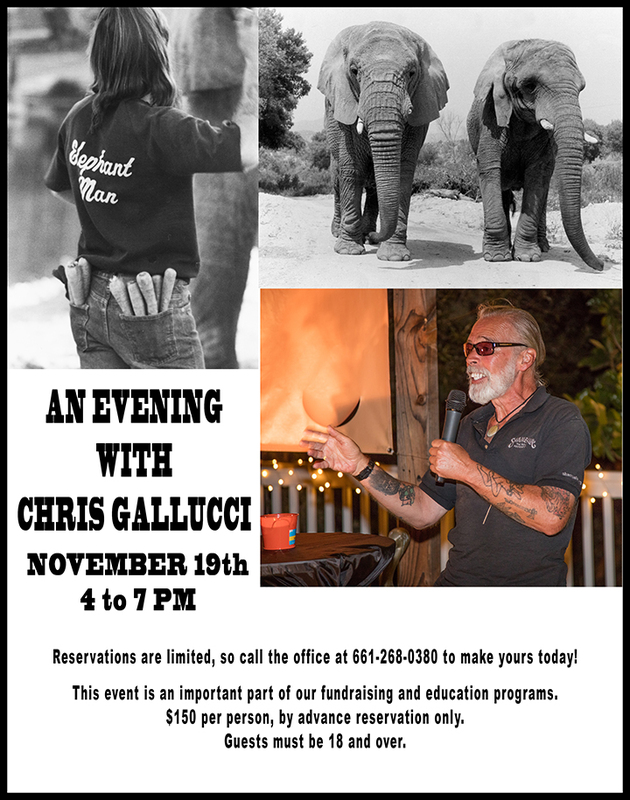 Dirk Arthur’s controversial show has a history of animal welfare violations, and has been condemned by animal care experts and a former Las Vegas animal illusionist. He has been cited numerous times by the USDA for violations of the Animal Welfare Act, including a 2013 citation for declawing two juvenile tigers and a juvenile lion. Declawing is a painful, often debilitating procedure prohibited by the USDA, that amputates part of each of the cat’s toes and commonly leads to chronic health problems. Arthur has been previously cited for enclosures that are too small to allow cats “normal postural and social adjustments and adequate freedom of movement,” including the ability to exercise. ADI has been urging Westgate to cancel this cruel act. Being President isn't easy! 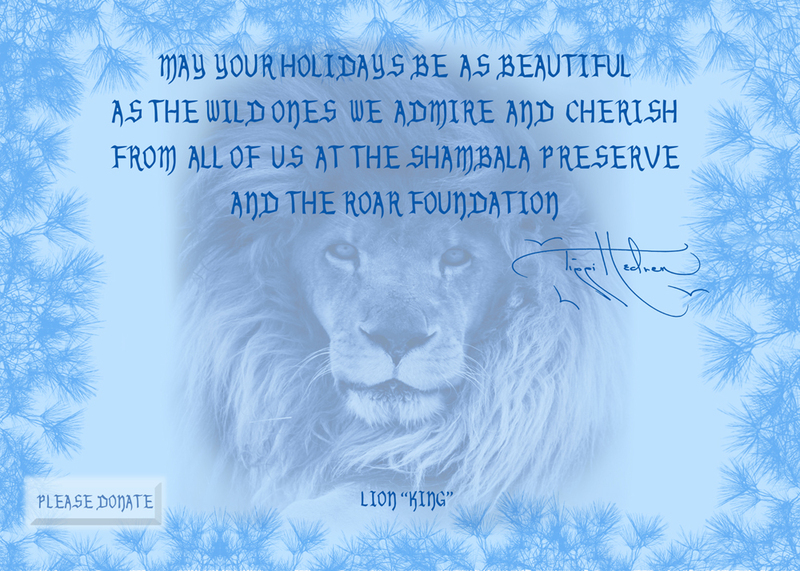 Soon after I founded The Roar Foundation in 1983, I realized that you, our supporters, are the backbone of this organization. 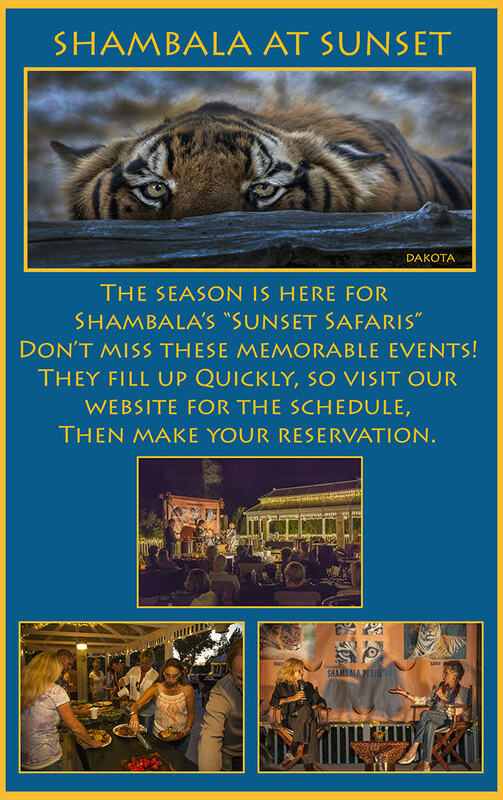 Maintaining the Shambala Preserve is not something one person can do alone, and without your help it would not be possible. I am grateful to my core for your continuing concern and generous donations. As you know, I seldom cry out for help, but at this crucial time in our economy, I am doing just that. 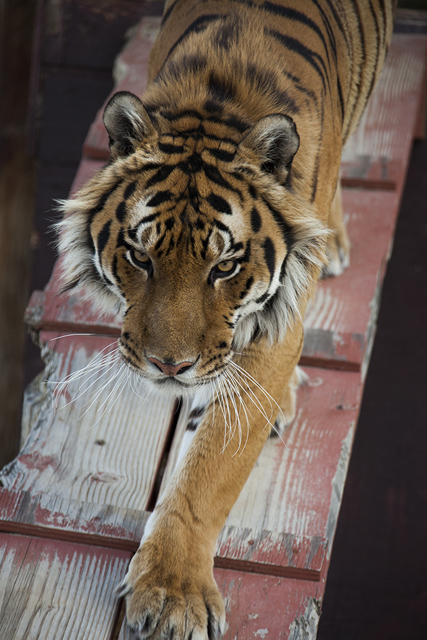 Along with the monthly challenge of raising $75,000 to cover our basic costs, we are now seeing a desperate need for more fire clearance and the rebuilding of some of our compounds to provide safe, secure, life-long sanctuary for the Great Cats who call Shambala home. The fire clearance quotes we have received are over $1,000.00 per day; and the new compounds (we need ten) are estimated at $100,000 each. Many of these tasks are not only things we want and need to do, but are items that are being required by the different governmental agencies whom we deal with on a yearly basis. 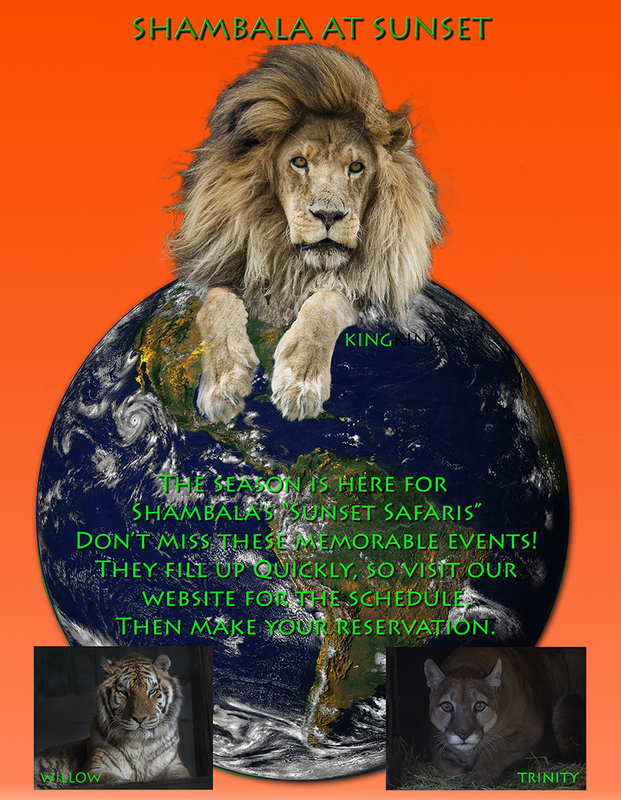 The Roar Foundation operates solely on private donations including my own. Please consider sending us a donation, designated to The Roar Foundation Priority Fund - whatever you feel in your heart, large or small, will be greatly appreciated. I love these Great Cats more than my next breath, but they are not pets or business associates. I will continue to fight with all that is in me to stop them from being treated as commodities and to make sure that those in our care are allowed to live out their lives in peace and dignity. 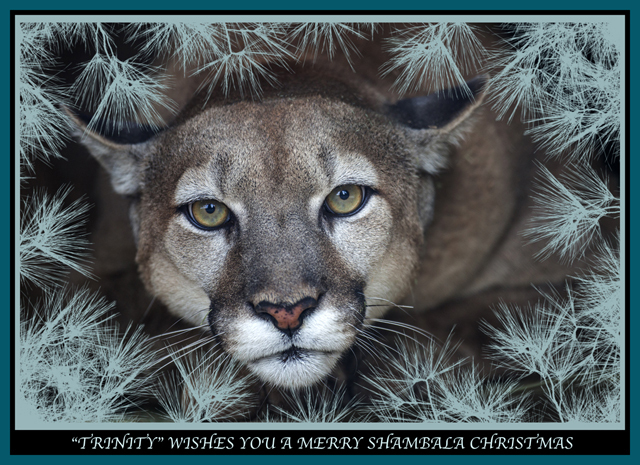 A very warm thank-you for caring, from all of us at Shambala, animal and human.